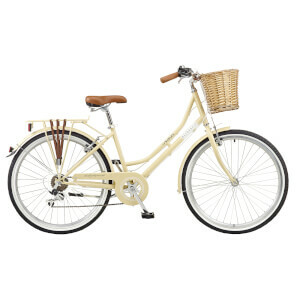 The basket provided with this bike is a 2018 version, this is compatible with the bike. Built to the highest quality with industry leading components, the Ryedale Holly comes with the classic Cambridge easy low step-over frame. This single-speed model comes in a range of appealing colours and features a handy kick stand, alloy pedals, front and rear matching mudguards and a beautiful front and rear carrier. Please Note: The basket provided with this bike is a 2018 version, this is compatible with the bike.